It gives us immense pleasure to continue everlasting ties with you. Hope you are faring well in your life and earning laurels for yourself. 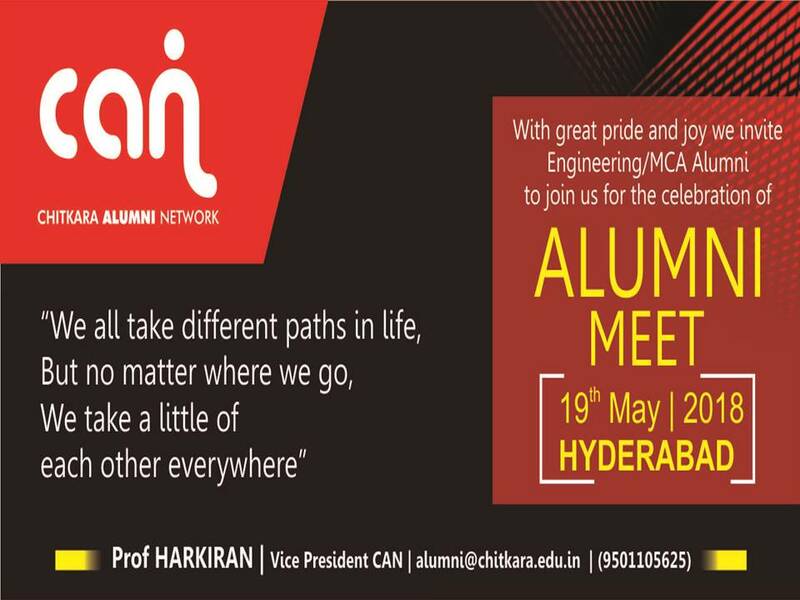 We are pleased to invite you for the much awaited Alumni Meet – Hyderabad Chapter 2018 (Engineering/MCA students) on 19th May 2018 at Hyderabad. It’s time to experience a flashback.